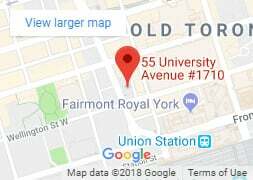 Toronto is a BIG city and when you are injured it can be overwhelming to try to find the best physiotherapist (or any professional for that matter). But it is critical that you make a good choice. Attending a physiotherapy clinic requires an investment of your time, energy and money and you need to do everything you can to ensure you will get the best results possible. With that in mind here are a few insider tips to help you find the best Physio for you. Here’s something that most people don’t know ….. great physiotherapists are pack animals. The most competitive jobs in the industry are in clinics that have a team of like-minded Physiotherapists working together. This makes perfect sense when you think about it. Any Physio who is interested in striving for excellence will want to be surrounded by other members of their profession to collaborate and learn from one another. Inevitably these clinicians begin to push one another to be better at their jobs on a daily basis. A deep bench of Physiotherapists also suggests that the clinic has a strong reputation with the local medical community, a surefire good sign. 2. What is the Focus of the Clinic? The clinics in Toronto (or any city) can be categorized into a few types. 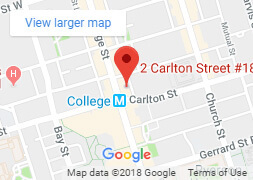 From ‘one-off’ single therapist offices, to national corporations that are tied to large insurance contracts, to ‘wellness centres’ that house one or two members of many professions (chiro, naturopath, osteopath etc). Then there are clinics whose primary focus is exactly what you’re looking for – Physiotherapy. You wouldn’t want to go to a dental clinic where you can both get your nails done and receive weight loss advice. And you shouldn’t go to a physio clinic that is not mostly focused on providing the solution to your current problem. 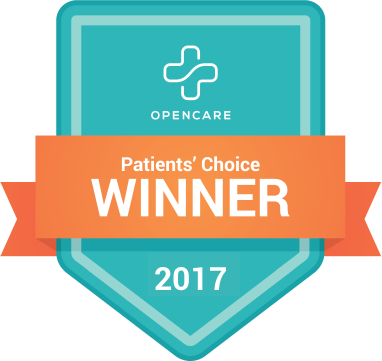 These clinics will have a better understanding of the all of the aspects of your condition and will have developed a complete patient experience framework to meet your needs and your goals. Call us crazy, but we think that when you are in Physiotherapy you should be spending your time with your Physiotherapist. Many clinics will use assistants to deliver exercise programs or provide electro-therapeutic modalities like TENS or muscle stimulation (which have scant evidence to support them). 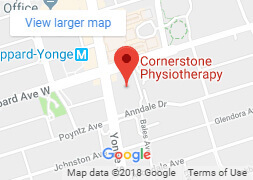 If you want the best physiotherapy experience possible, talk to the clinic and ask if they have assistants that help the Physiotherapist, or if all of your time will be spent one-on-one with your PT. A simple scan of their website can usually give you an idea of what the physical environment of a clinic is like. Do they provide private treatment rooms? Is there a gym space where you can use therapeutic exercise equipment? Does it look like a place you will be happy to spend some time? Or is it a sterile environment reminiscent of a hospital? You will be investing some time in your rehabilitation so you want to make sure that the facility meets your needs. Does the clinic directly bill your insurer for you? Or do you have to manage that administrative burden on your own? Do the Physiotherapists work there full time, providing lots of options for appointment times? Or will you have to work around awkward and limited schedules. These may seem like small things but when you are attending multiple appointments the little things add up, and you don’t want to be managing unnecessary hassles when you should be focused on getting better! It is no secret that anyone can get a few good reviews, so good reviews alone do not mean much. However, a clinic that has been around for a long time and does not have a lots of good reviews may be cause for concern. Like with all reviews try to spot trends, positive or negative things that people consistently mention are more likely to be true. Lastly, look to see how the clinic owners respond to negative feedback. Do they respond at all, do they clearly take pride in their reputation? Nobody is perfect, but not bothering to respond to a patient’s poor experience is very telling of how the clinic is run. Physiotherapy is personal. What one patient wants from a great Physiotherapist is not the same as another. An elite athlete must be treated differently than a weekend warrior. While some people want lots of encouragement and support, others will respond better to a tougher approach. 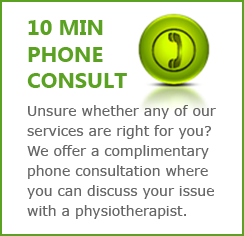 The best physio clinics will offer to take the time to talk to you about what type of Physio you are looking for. If you know you will need more encouragement, they should match you with a staff member that naturally will provide it. If you have elite athletic goals they should recommend a PT that has experience working with and motivating the recovering athlete. This also speaks to the need to choose a clinic with at least a few different Physiotherapists on staff to improve your chances of finding a good fit. In Canada, the title “physiotherapist” is a protected one. This means 1) a University degree from a physiotherapy school 2) passing the Physiotherapy National Examination 3) being registered with their provincial College of Physiotherapists and remaining in good standing. Beware. There are many reports of non-physiotherapists who advertise that they provide physiotherapy. It may be another type of health care provider such as a chiropractor or massage therapist claiming to do so, or it may be a physiotherapist assistant or former physiotherapist with a suspended or revoked license. You can easily check the status of your physiotherapist by going to www.collegept.org (College of Physiotherapists of Ontario). Making the best choice of provider is just the beginning of your Physiotherapy journey, but it is an important step that is not to be taken lightly. If you consider the ‘insider tips’ above you will surely start off on the right foot. The next thing to consider is what you should expect from an outstanding physiotherapy experience. Click here to read our insider tips on that subject.